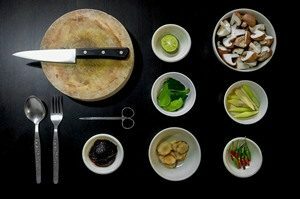 If you are the home cook, you know how hard it is to juggle your career, social life, family responsibilities and of course, meal planning and prepping for the whole family. Enter modern, cool and multitasking kitchen tools to make your life easier when preparing your favorite recipes. Here are 5 revolutionary kitchen devices that you should try. This professional blender doesn’t just blend frozen fruits and veggies into creamy or green smoothies, it can also crush ice into snow and chop fresh ingredients evenly. When it comes to meal prepping, the chopping part takes a lot of time. Add up the waterworks when chopping onions – hassle! Thanks to the Ninja Master prep, meal prep becomes hassle-free. This Master Culinary kitchen shears will make cutting herbs faster, easier and safer. And oh, the five, sharp, three-inch stainless steel blades will not just help you spice up your dishes, it can also help you make gorgeous arts & crafts. Talk about, multi-tasking! If your recipe calls for sliced hard-boiled eggs, you know that you really need time to carefully do this and make perfect thin slices, right? Well, this egg slicer from OXO will help you quickly and easily slice hard-boiled eggs into perfect 5 mm round or oblong slices with just a simple press. A butter grater? Yes! The grating disk is made of durable stainless steel and can grate easy, spreadable threads of saved butter straight from the fridge. It comes with a cap too so you can just store it back inside the refrigerator after use. It’s perfect anytime you need butter for your toast, veggies or corn on the cob. This entry was posted in Recipes, Useful Gadgets. Bookmark the permalink.